Tonight during John Smedley's annual Community Address, Jeff Moyer, President of the Zam Network announced the creation of Zam.com, which will combine all Zam Network sites such as Thottbot, Wowhead, MMO Interface, and the Allakhazam game sites into one complete gaming destination. He also announced that in partnership with SOE, the first game to get a full Zam.com site will be EverQuest II. 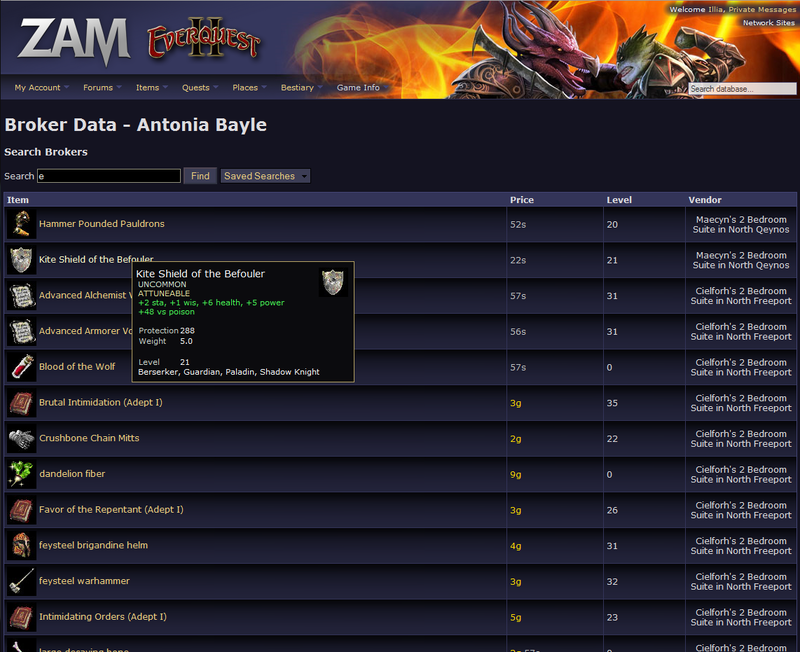 A complete database with detailed information that you can only get directly from the game itself. Maps of Mob Locations. Mob spells and skills. Complete drop information including the percentage chance of something dropping. 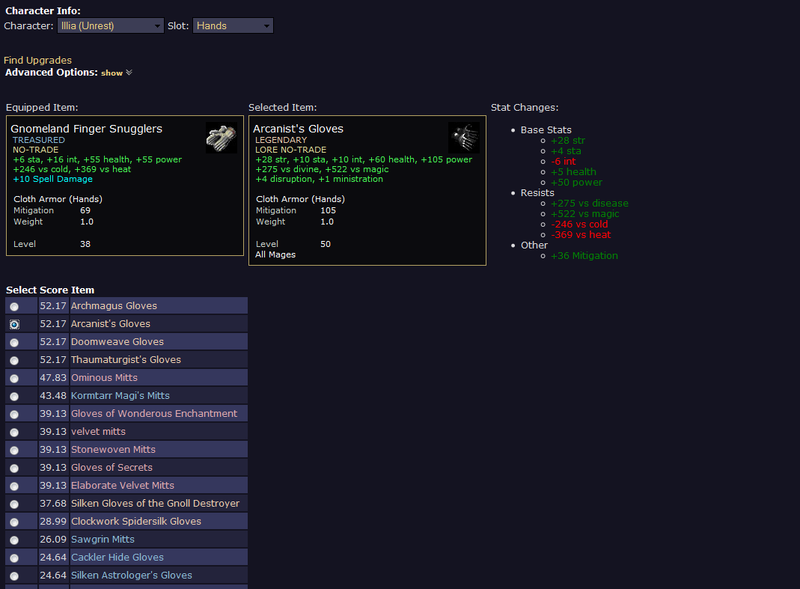 Full item stats, including the normally hidden stuff. 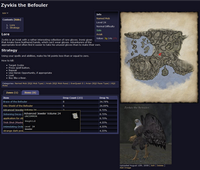 Complete quest walk throughs with all the text from in game. Spell, skill and AA lists. Live Broker Data. You will be able to log onto our site and see exactly what is for sale at that moment. You will also be able to request that you get e-mailed or texted when certain items come up for sale at certain prices. 3D Models of everything in the game including mobs, items and your profile. You will be able to try on outfits and see what they look like. Profile Upgrade Search. Put in your parameters, like solo only or quest only or exclude raid and search your profile for easy upgrades to your current equipment, then print out the directions on how to get it and go. Flexible template. Pick your own background and graphics. Make up your own menu to highlight the pages most important to you. Add or remove modules from the front page. So I'm assuming this deal fell by the wayside. As anyone who has publicity about them said by a CEO of a company should know.. No new is good news. And there is such a thing as bad publicity. With the economy as it is, who can blame them. This is gonna Rock! Really appreciate the effort in providing this service. Would gladly donate if it turns out to be as advertised..
Well if that database is as good as you guys say it is, I would be more then happy to play up to 5 bucks a month for it. I havent been signing up for any site for eq2 just cause its not 100 percent, but since the Zam anouncement I'd definatly break out the greens for this. How does all the networks split up the subcriber base, is it who ever gets the recruit or is it just pooled in as one whole lump sum split evenly? Love the strategy on the sample mob info page..
EQ has 14 expantions going on 15, over $500 worth just for software. 2 Computer upgrades just to play, and eq 2 get's first dibs. I quess money don't talk in SOE world. - EQ2 has a smaller data set and is easier to implement the initial system while the work on scaling it to EQ. - That they wish to work out all the bugs in EQ2 before pushing it to EQ as to not offend a sensitive and informed user such as yourself. - That EQ2 is a newer software system and already has the software hooks and database capabilities to facilitate a large web interface thus giving more time to the EQ developers to code in these abilities. Of course, they will be taking time away from fixing all the bugs that I'm sure you have ******* about. - That there are EQ2 focused people at Zam networks who have it in their schedule to undertake a large project like this. - That they have been working on both systems and that EQ2 will be ready before the EQ system thus allowing Zam and SOE to use the fan faire as a great place to announce the partnership. Or it could just be that they did it to **** you off personally. Yup. Could be any of those. There are Bugs in EQ? I'm always the last to know! "A complete database with detailed information that you can only get directly from the game itself. Complete drop information including the percentage chance of something dropping." Will this be from player submitted data from log files ala what's currently available, or will it be supplied by SOE in a data feed like the broker data? This is directly from SOE. That's what makes this such a big deal. I knew the broker data was, but I'm really surprised they're now directly submitting drop rate percentages. Will this be available the first day of the new expansion or will they want to keep it secret for the first few days? We're still working on all the details and launch schedule. Obviously we don't want to reveal items that haven't been found in-game yet, but once they have we should have the information on our site, including drop percentages. Is this a free service or is there a cost associated with? Game content at Zam has always been free. Whether some of the cool new tools will be Premium only or not is under discussion. As soon as I know anything I'll post it. Do we know when this site will start? At this point, I'm not aware of any date for when we will release it. Please understand we are still making sure all of the data is properly displayed, that the interface is user-friendly, and that you guys can have what you want... when you want it. Rest assured... as soon as it is ready, we will be blasting it across the network. This coming to EQ after EQ2? Right now EQ2 is our priority, but down the road the possibilities are endless and we would definitely love to see this happen on our other sites as well - just one step, or site, at a time. I wish I could confirm or deny this for you, but we are unable to say at this point which title will be next. However, as soon as we know... you'll know!